There is a notable increase on the movie theaters that require LED screens to promote the activities inside the venue and want to propose the ability to watch movie trailers for their visitor. By now the LED screens for the movie theatres became a significant element for the internal and external design to attract more visitors. 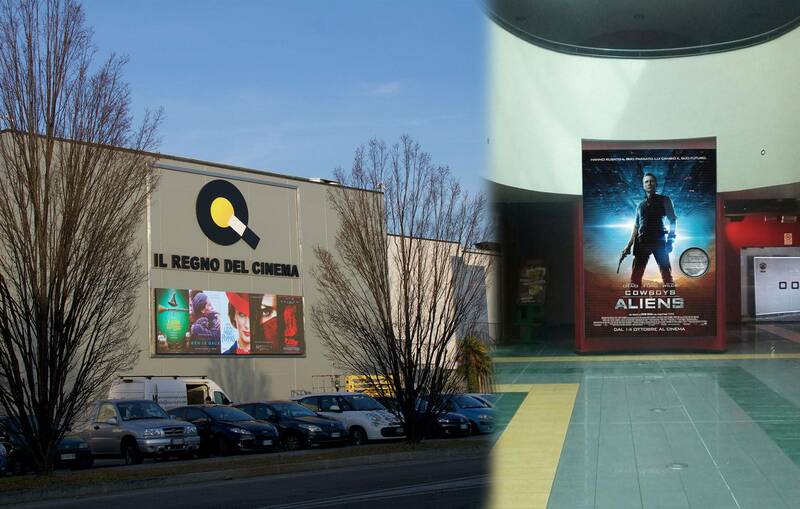 The same applies for “Multisala Oz” in the Italian city of Brescia, which today features also an Outdoor Signum LS 6 mm over 22 square meter installed on the main façade. It is accompanied by two indoor Mobilis 3.9 high-resolution LED screens, installed inside the cinema, to play movie trailers and to engage viewers with in an extraordinary visual experience before enjoying the chosen show!